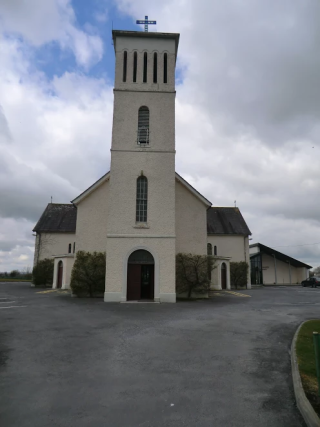 As you arrive in Killimor from Portumna, on the N65, you will see St. Joseph’s Church situated on your left, at the east end of Killimor village in the townland of Garryad. Going in the main avenue you will notice the New Cemetery on the left, while further on, to the right, are memorials to priests who are interred in the Church Grounds. The Church, St. Joseph’s Centre and the Parochial House stand on about a half statute acre of ground. 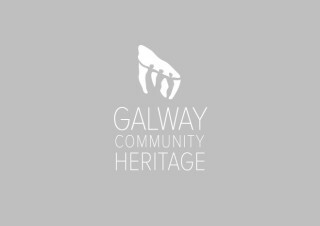 Church records indicate that the building of the church began in 1835 and was completed by 1842. However old men of the parish maintained that the original plot, given by Lord Dunsandle, was one statute acre and contained two gardens. The church is cruciform in shape and the tower was added in 1895 when a donor presented a 20 cwt. bell. As you go the main door to the nave take note of the Stations of the Cross, donated by a Mr. James Miller of London, displayed on the walls of the nave and the transepts. Interior renovation of the church was carried out as a Jubilee Project for the year 2000. The objective was to retain all that was good while ensuring that the Sanctuary area is suitable for the celebration of Mass and the administration of the Sacraments. Of particular interest in the sanctuary, is the marble altar donated by Dr. George Madden of London, who was a nephew of Very Rev. J.J. Madden, P.P. Killimor, 1930-1951. The altar was consecrated in 1955 by a native of Killimor, Most Rev. Dr. Patrick Winters, Bishop of Tanzania. The baptismal font dates from 1835 and is carved from limestone which came from Partry, Co. Mayo. Situated for many years near the main door, the font is now in the sanctuary area. Note the Mass Gong (bell) which supposedly came from a monastery in France circa 1912-13. The ambo, the chair and the flower-stands were formed from marble left over after the removal of the front altar-rails during the renovation project in 2000. The gilt sanctuary lamp was presented to the church by Mr. Daniel Nolan in 1911. The stained glass windows will catch your attention. These, together with the seats, were donated by parishioners and others, who wished, through the inscriptions, to have their loved ones remembered. We now move to the porch on the right. The black plaque to the left over the door commemorates three priests who were interred in front of the altar, outside the altar- rails. The slabs over their resting places were covered over during renovations. Their names are now recorded on this plaque – Rev. John Walsh, Rev. Malachy Green, C.C., and Rev. Michael Keating. A granite holy water font, bearing the inscription “Pray for the Parents of Vincent O’Meara”, stands in the porch. These are some of the beautiful features that can be seen in St. Joseph’s Church which has stood on this spot since 1835.